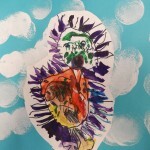 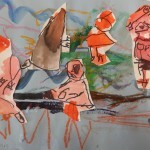 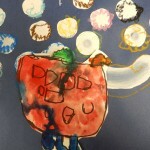 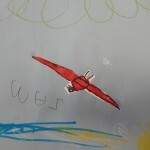 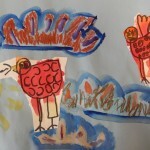 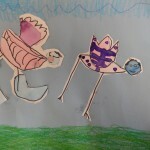 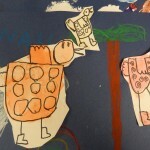 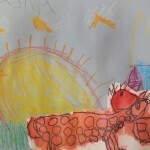 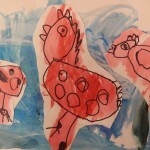 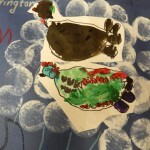 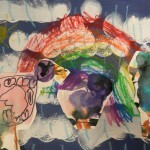 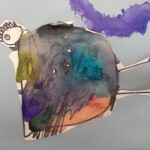 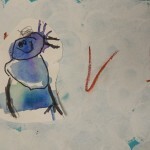 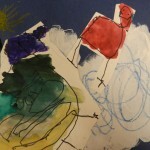 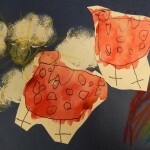 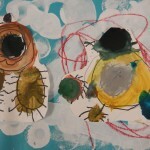 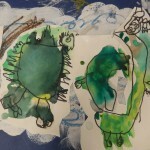 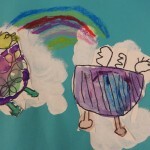 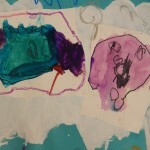 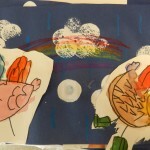 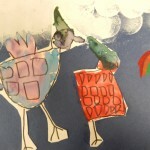 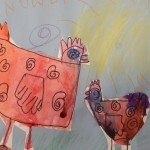 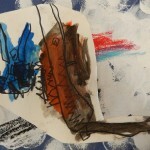 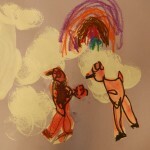 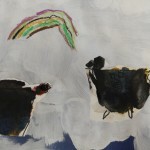 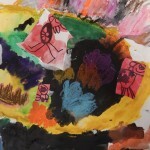 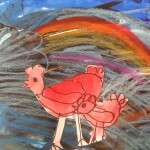 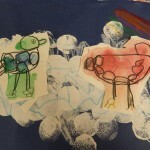 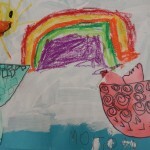 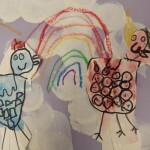 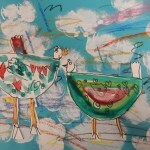 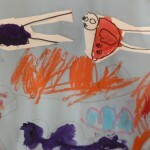 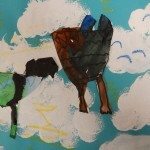 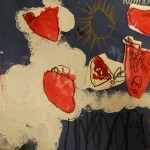 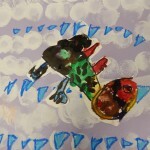 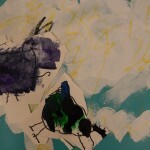 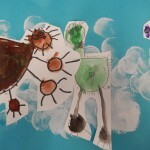 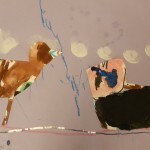 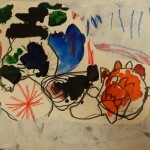 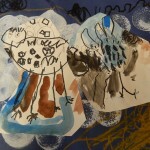 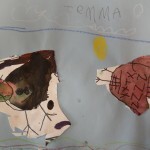 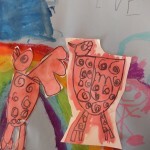 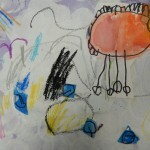 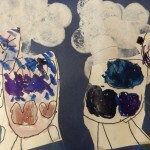 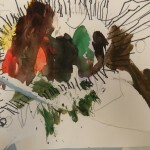 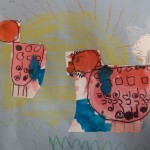 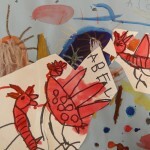 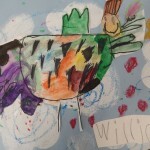 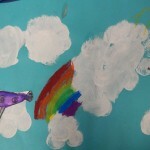 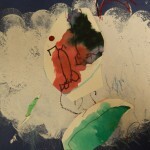 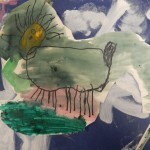 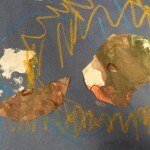 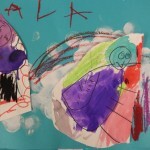 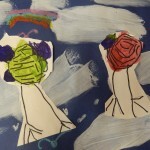 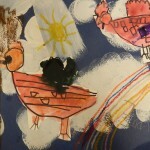 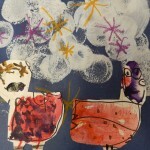 Kindergartners experiences a lot of new things in this project. 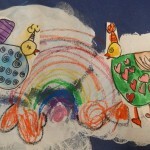 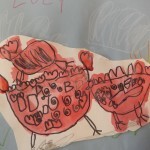 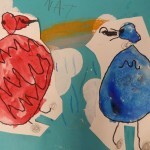 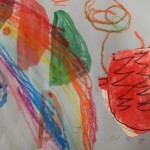 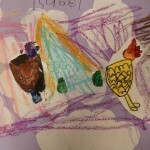 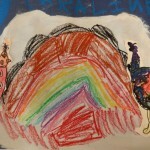 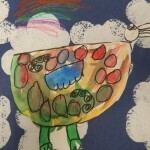 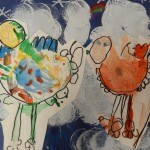 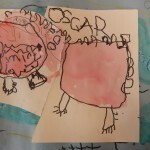 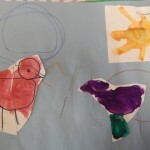 We read the book Red Bird: Colors, Colors Everywhere by Barney Saltzberg and looked closely at the details of the illustrations. 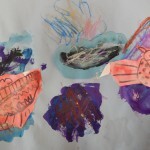 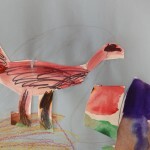 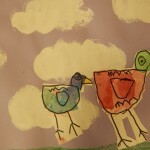 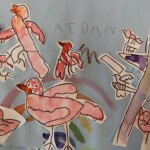 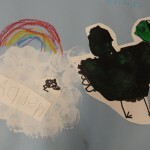 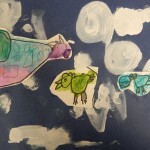 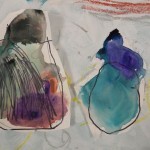 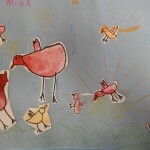 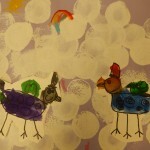 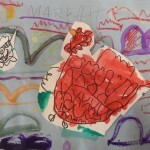 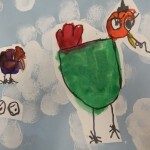 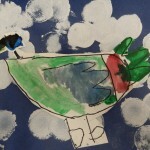 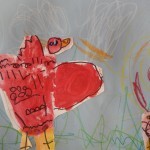 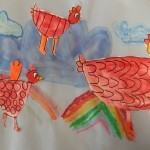 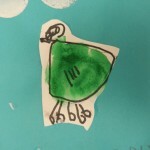 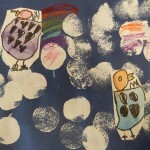 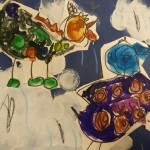 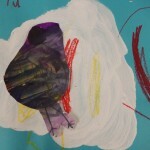 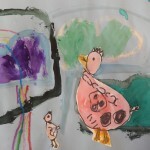 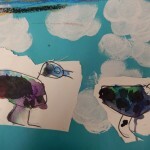 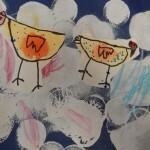 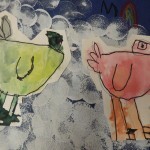 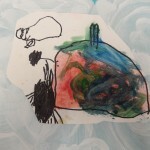 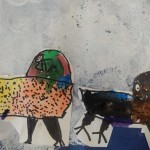 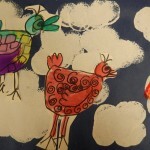 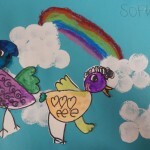 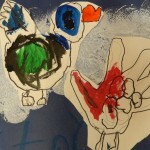 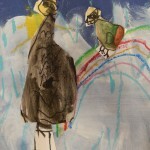 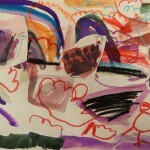 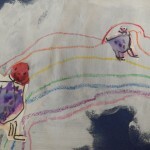 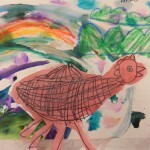 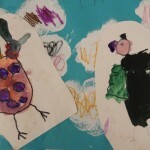 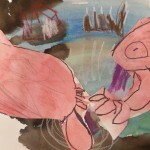 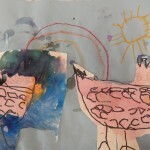 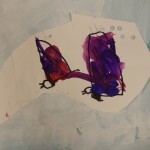 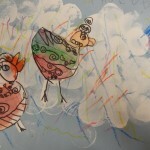 After drawing their own birds with silly details, they used Sharpie to practice their tracing skills, and then made their first foray into watercolor paint. 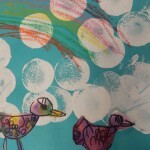 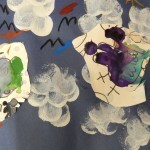 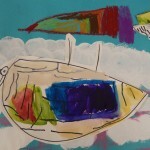 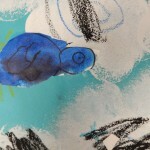 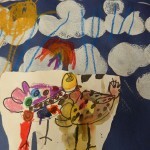 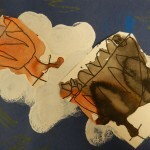 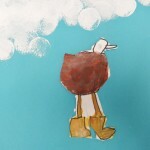 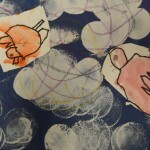 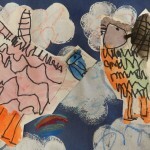 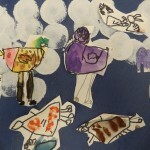 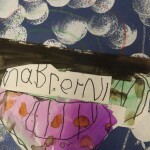 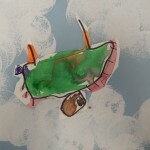 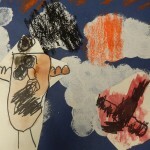 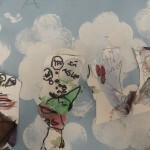 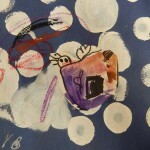 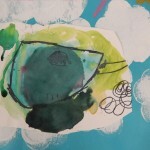 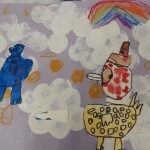 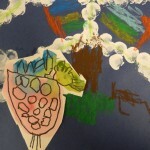 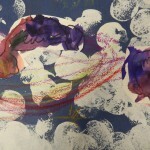 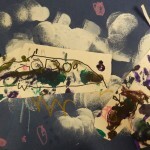 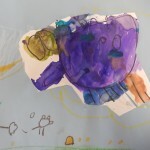 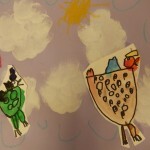 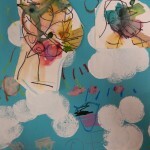 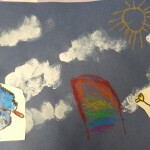 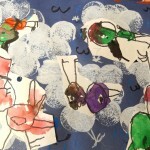 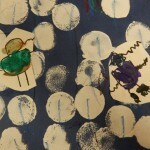 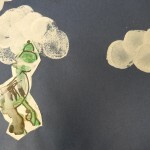 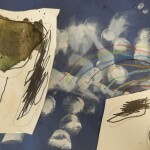 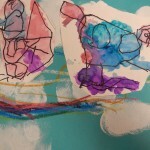 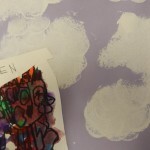 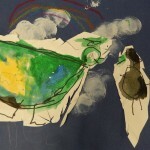 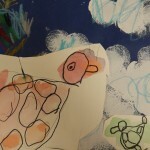 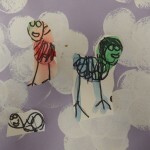 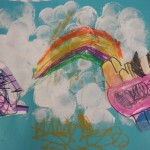 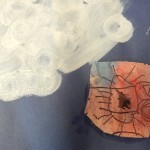 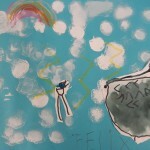 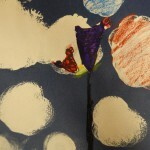 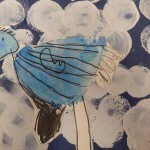 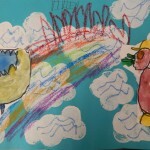 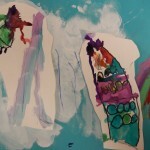 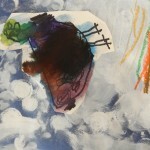 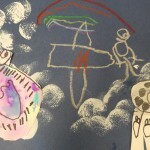 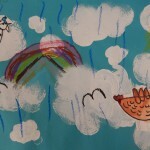 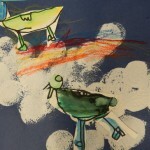 We used daubers to make clouds, and oil pastels for details in the sky.